At Z Bods, we noticed there were recurring issues in the spray tan industry such as being orange, having streaks, or bad smelling tans. We did some research and discovered that most all spray tan companies in Scottsdale and the surrounding area uses two name brand solutions. We wanted to change that. In 2014, Abby graduated from Penrose Academy in esthetics and NALA Institute becoming a laser technician. Shortly after graduating, she moved to New York to gain work experience. That’s when Abby fell in love with spray tanning. She worked for one of the most highly regarded spray tan companies in NYC and mastered her craft for 2 years. 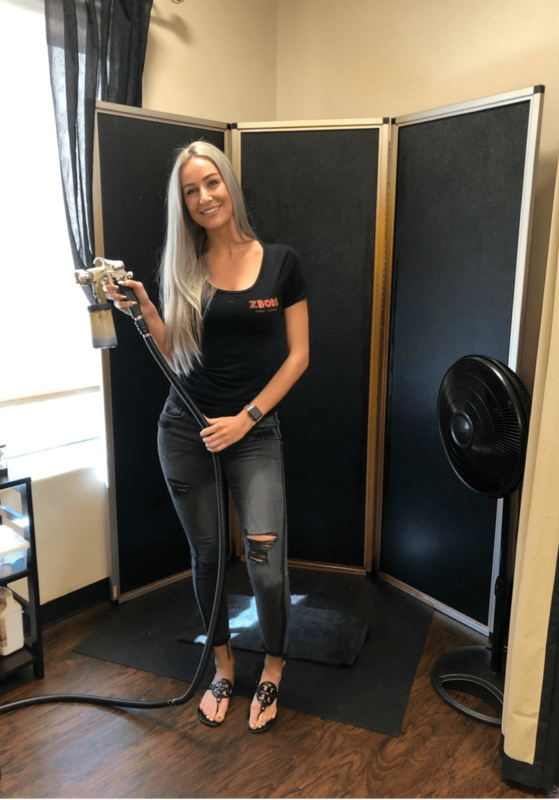 This company happened to manufacturer their own spray tanning solution and Abby wanted to bring it to Arizona. Abby approached her older brother Ryan who happened to be her best friend. Ryan saw the same opportunity and vision as Abby and they decided why not. Z Bods officially opened their tanning salon in July of 2017. But most importantly they set three goals to accomplish: provide the best solution, provide exceptional customer service, and build everlasting relationships with clients. Z Bods prides itself on being the only Arizona spray tan salon with this solution. Our exclusive spray tanning solution is all natural and organic and will leave you with a beautiful bronze color. Z Bods has a product I have never even heard of & I'm absolutely hooked. This tan I have right now looks absolutely so natural, not splotchy... literally I have never been so impressed by a spray tan in my life.